Haven't received anything? please contact support@slotsbreak.com for assistance. Slots Break is a UK online casino offering the hottest slot games around. Choose from hundreds of exciting slot machines with huge jackpots, instant win scratch card games, and thrilling casino games including blackjack and roulette. Take your favourite games with you on the go and play anywhere, anytime on your mobile or tablet. 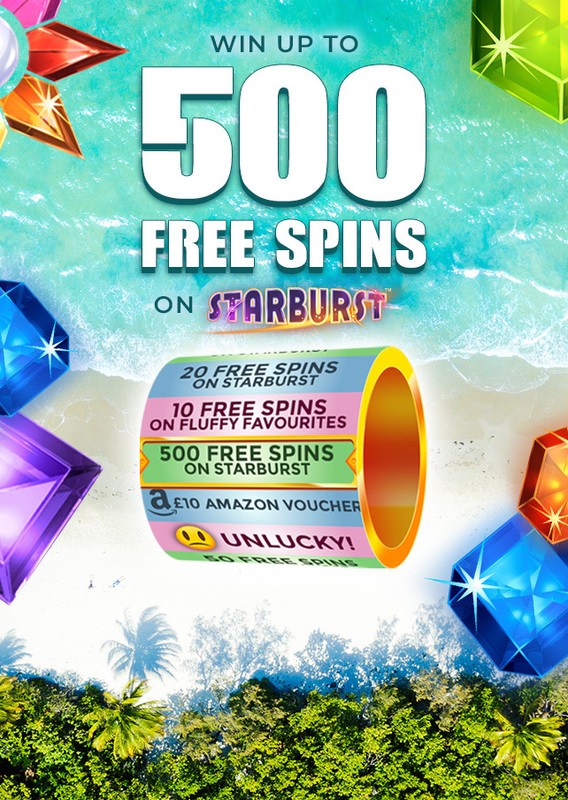 Plus, join Slots Break today & spin our Mega Reel where you could win up to 500 free spins on Starburst! Sit back, relax and enjoy a Slots Break, register today to claim your welcome package. Slots Break is operated by Jumpman Gaming Limited which is licensed by the UK Gambling Commission ('UKGC') for customers in Great Britain and the Alderney Gambling Control Commission ('AGCC') for customers outside of Great Britain. All games on Slots Break are regulated by the UKGC or both the UKGC and AGCC. Registered business address (no correspondence): Inchalla, Le Val, GY9 3UL, Alderney.